Its a very carefully structured book and moves from the basics to more complicated exercises in a well-considered way, building both confidence and technical ability as you progress through the pages. Many watercolour artists are disappointed with the results of their endeavours because their attempts at painting do not always turn out as intended. However, the majority of mistakes are caused by the incorrect use of paint rather than artistic inability. 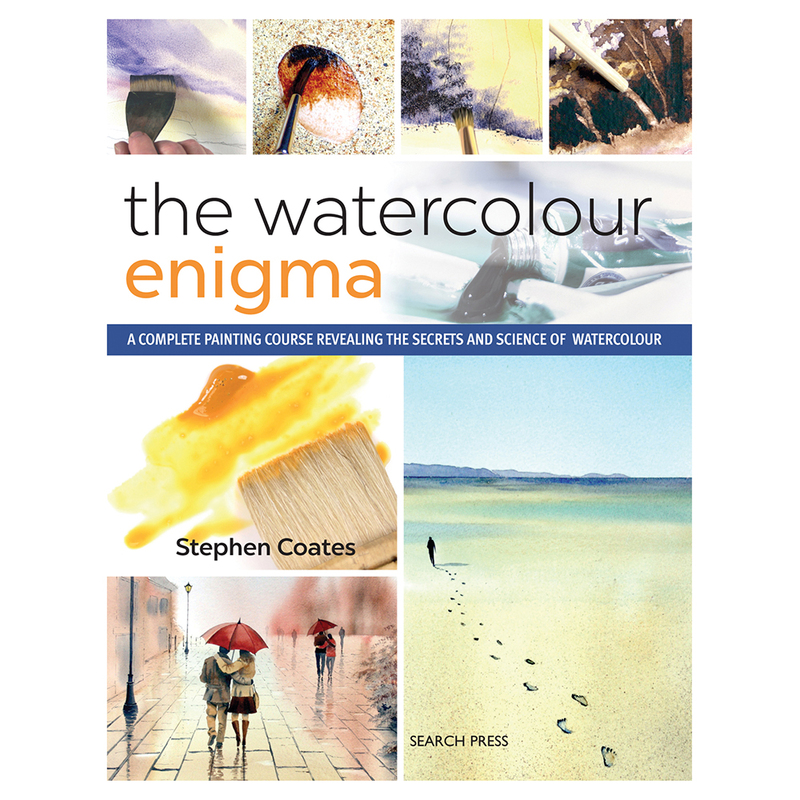 The Watercolour Enigma is based on a practical course by artist Stephen Coates, and is designed to take the student through a process of learning rarely seen in other practical art books. 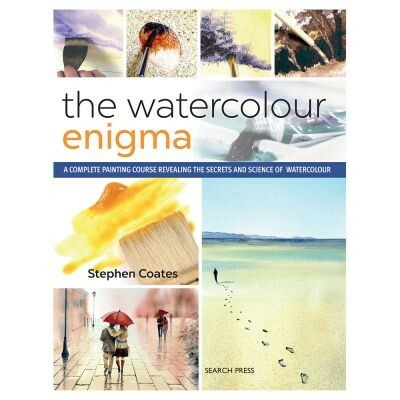 By examining the basic science of watercolour including the properties of water and colour pigment, and through a series of practical, straightforward, step-by-step painting exercises, budding painters will leave Stephens book not only with a mine of watercolour knowledge but with a selection of stunning paintings they can proudly say are their own. Understanding the medium and how to use it will turn potential failure into success, and discovering the truth about how to use watercolours is exciting, liberating and enormously rewarding. So fulfil your dream and, with Stephen's guidance, learn to paint like a true, watercolour expert.